The varnishes are used to protect the paintings and also to apply to them a matt, semi-matt bright effect. 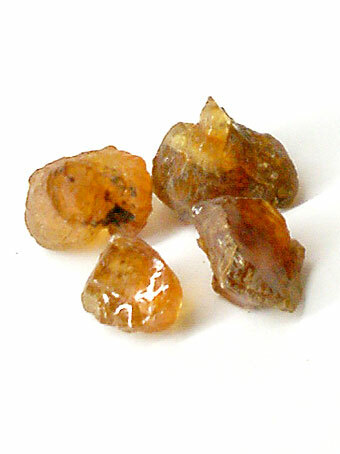 Some varnishes are just the tree’s resins that are dissolved with turpentine (or better essence of turpentine) and with smoth heat (into a water bath), or just leaving the resin some time to dissolve inside the turpentine. The Rule of Thirds consists in dividing the image with two horizontal guides and two vertical guides that generate a division into 9 equal parts. This is a technique of composition that we can use to fit our drawings and forms, order our composition and also it’s useful to improve our photos. Painting by Paul Chabas, “Morning on septembre”, painted on 1912. Oil on canvas at the Metropolitan Museum of Art in New York. See in Wikipedia. The female figure, the protagonist in this painting, is located on the right vertical line. The encaustic technique has the beeswax as binder. The name of encaustic (enkaustikos = engrave with fire) it comes from the ancient Greece, but the Egyptian civilization also used this technique in the sarcophagus. The classic technique of encaustic only with wax must be worked in a hot temperature, because the wax becomes hard when it’s cold. So, you can work well with brushes, the paint stays brighter and we can extend it in a uniform way. Cold / warm you can also work with Palette knives. 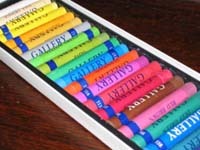 The pastel paintings are bars mades of pigments colors with a little of binder that allows us to make the bar shape. The pigment is mixed with the blend of water and tragacanth gum. You can also use a little ok skim milk, egg tempera, rabbit skin glue, and other simple binders. To use a grid lets you copy images accurately maintaining its exact proportions. 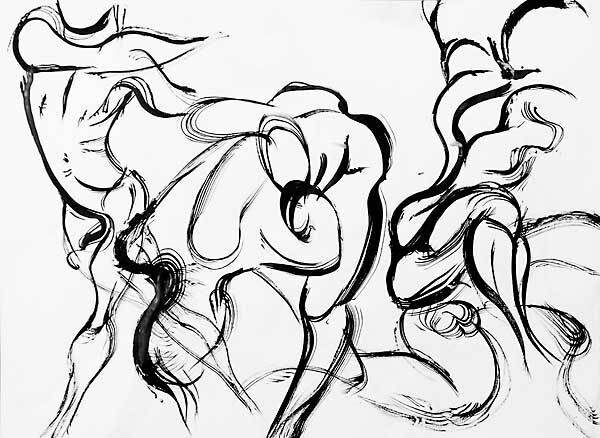 With this technique you learn to see the dimensions of shapes and we succeeds our drawing thanks to the connection ot the points. 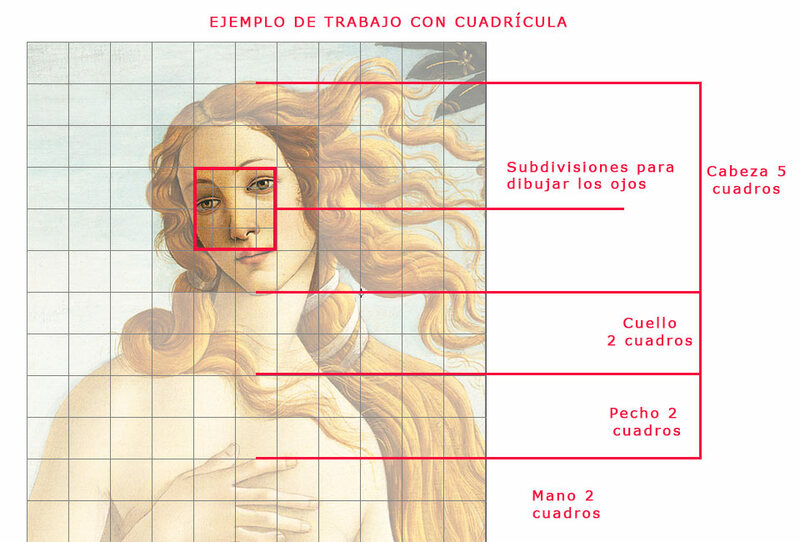 This is an example of how you could draw the face of “Venus rising from the sea” by Botticelli with the help of a grid.